Where else would you be looking? Hey everyone! It’s exciting to be back after taking a 2 1/2 week-break from blogging at All Eyes On Screen. I had a wonderful Christmas and fun New Year’s celebration with family and friends in both my hometown state of Illinois and my current residence in Wisconsin. While I was starting to take down all of my holiday decorations, I was thinking through all of the resolutions I have for this new year that has already started. Reviving All Eyes On Screen in 2014 was one of the most fulfilling and fun resolutions to accomplish. As I’m looking to the future, I hope to continue to update and improve All Eyes On Screen, from upping the quality of writing content, to publishing more posts on a consistent basis. I anticipate some major changes happening personally in my life over the next year, but I am hoping to learn to balance my time better, and regularly write for the site. With that all said, I do realize that breaks from writing will be inevitable and necessary to take from time to time; however, I will be aiming to publish posts as consistently and regularly as possible. Looking to the future of 2015, I have been composing lists of resolutions that will serve as an accountability and goal for me to work towards bettering myself and All Eyes On Screen. My first goal related to the site is to read more books. So many of the movies we see today are based on someone’s written work, and I think we often get a more well-rounded view and appreciation for source material when we read it. I’ll admit that I’m not a huge reader, but I’d like to change that. I read ten books in 2014, so I’d like to improve that number by reading twenty-five books over the year 2015. I’ve separated my list into sections that I can work towards. Note: I’ve starred all the books that have (or will have) a movie/TV adaptation (that I’m aware of) with one star. I added a second star for all of the movie/TV adaptations I’ve already seen. Here is my list of books that are part of series I’d like to finish. It’s embarrassing to admit that I haven’t finished the Harry Potter collection, but I resolve to conclude the series this year. And since we’re talking about J.K. Rowling books here, I decided to add the second book of her Cormoran Strike novels to my series list. Without apology, I also admit to never finishing Tolkein’s The Return of the King after struggling through the first two in the trilogy. When I moved to Wisconsin halfway through last year, I joined a growing book club. Thanks to that club, I got back into reading. We usually have six meetings a year (one every other month). The future ones have yet to be determined, although talk of reading Laura Hillenbrand’s Unbroken has surfaced . . .
Stay tuned for more New Years Resolutions posts this week and next, and don’t forget to check out my Reading Corner on the bottom left of the site, where I list what I’m currently reading. I’ll be making the rounds on everyone else’s sites over the next three weeks in hopes of catching up to my lengthy feed of unread posts. What are your reading resolutions for 2015? The Shining is one of 31 films on my Shame List, a list composed of multiple classics and “must-see”- considered films for anyone who likes to consider him/herself a film buff. I created this list with only twenty films, and have added eleven films since by recommendations from friends and fellow movie fans. I’m always looking for recommendations, and my Shame List is my accountability to the movie blogging community that I have – and will – start watching these movies to earn my film buff status. A copy of the list can be found at my post here, and I’m updating per your recommendations, so please keep them coming! I feel like I can wash my hands of the “shame” a bit after finally viewing The Shining (1980) for the first time. I always wondered where that haunting image of young Jack Nicholson originated. For someone who has seen movies of him only in his older years when he’s sporting gray hair, it was both a pleasure and a horror to see Nicholson in action in this classic horror film. So I caught this movie back in October, right around Halloween. But I missed out on posting about it right when it was trendy to do so. So as Thanksgiving approaches with Christmas directly on its heels, here’s just a little summary of my thoughts on the classic horror film, The Shining. Everyone has stuff to say about this movie. And nothing in this post is going to be purely original regarding the film. I truly wasn’t expecting what I saw, and that was probably what gave me the most joy in seeing it. It’s about a madman portrayed by Jack Nicholson, and frankly, with his balding head and crazy eyes, he seemed to have the role down pat. It’s common knowledge that Stephen King didn’t care for this film adaptation by Stanley Kubrick. Having not read the book myself, I could only naively say that this is a good stand-alone film. Give me the original source material, and perhaps I could say otherwise. But at the end of the day, we’re talking two different mediums, two different viewpoints, and two different pieces of art. And I liked The Shining, even if didn’t pay the proper homage King was expecting or hoping for from Kubrick. I think what makes the film so good, so iconic, are the performances alongside the eery score and setting. While there ought to be plenty of praise for the lead Jack Nicholson, I was most moved by Danny Lloyd’s performance of Danny, especially when his “friend in his mouth” took over. Children certainly have the chops to play multi-dimensional characters, and Lloyd’s portrayal was chilling. I’ve wondered if Shelley Duvall has received as much praise as her costars, because she really does play the character that the audience relates with and roots for. For a while, I chalked her up to a simple housewife who didn’t know how to stand on her own. But of course, as time goes by and her husband has truly cracked and gone over to the side of madness, her character, Wendy, does take charge. It was so refreshing to see another female character be strong and courageous. The maze played one of the most interesting set pieces I’ve seen in a film. We get to see it in both the fall and winter seasons, and I think the contrast in seeing it in both weathers really characterized the maze as either fun or terrifying. The hotel plays its own role in the film as both a haven and a terror for the characters, by playing monster to Wendy and Danny, and partner-in-crime to Jack when he starts to see visions of those who used to run the hotel. While it seems like multiple people contributed to both the score and soundtrack, a large part of the job fell on the shoulders of music editor Gordon Stainforth, and I think he really delivered in matching the music passages to the scenes in the film. Kubrick truly doesn’t let any one part of the film go to waste, having pulled out the stops in every area. It’s clear why The Shining has reached its iconic status. While it wasn’t necessarily my favorite film, it is one I would definitely revisit over the Halloween holiday. I recently read there were multiple scenes cut from the film, and I think that was a wise decision. At nearly two and a half hours, the run time had me getting a little impatient as the story built to its final act, and the race for Wendy and Danny to escape came to a halt. It’s your turn now. What do you think of The Shining? Do you think King is justified in his disdain for this film adaptation? Where does The Shining rank on Stanley Kubrick’s filmography? And last, but certainly not least, what movie should I watch and cross off my Shame List next (list here)? Since the Oscars have passed and there isn’t movie after movie to be discussing, I’ve hit a sort of writer’s block in trying to decide what to blog about next. Writing plays a large role in film, from the screenwriters and editors right down to characters with different writing professions in movies. So I decided to list several different types of writers in movies; this isn’t a favorites list by any means, but just a list of 15 different types of writers played throughout film. Amy Adams’s character Julie was really searching for her niche, and she ended up finding two: cooking inspired by the famous Julia Child, and blogging about her journey through Child’s cookbooks. It’s interesting and neat to watch as Julie Powell’s blog becomes well-known. I had to include Tom played by the wonderful JGL because there just aren’t that many films about greeting card writers, save Mr. Deeds. Tom’s true passion is to be an architect, but he settles to write greeting cards, and in the process, encounters one of the loves of his life. Midnight in Paris is not the first movie that Owen Wilson plays a writer. 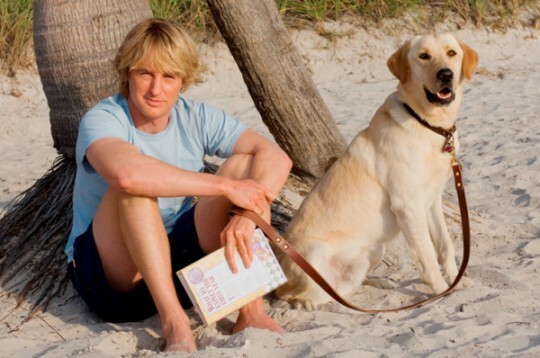 In Marley and Me, Wilson played real-life John Grogan, a writer who found his inspiration from a very poorly-behaved but lovable dog. His writing was so well-received, that his boss assigned Grogan his own column to write about whatever he wanted. 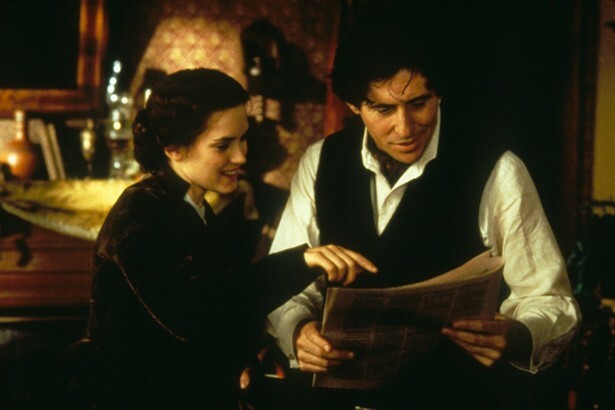 While Barrymore’s character Sophie doesn’t claim to be any kind of writer, much less a lyricist, Alex Fletcher (Hugh Grant), the man for whom she is “watering plants,” picks up on her ability to effortlessly write lyrics, and convinces her to help him write a song when he’s at a lost for words. It seems like “the magazine writer” is overused in film; it’s almost a cop-out career for a character. 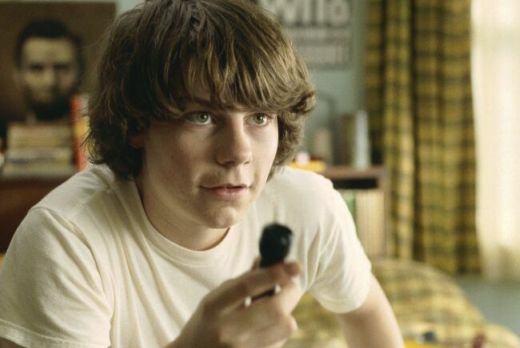 But in Almost Famous, William, the semi-autobiographical character Cameron Crowe based Almost Famous around, gets the rare and exciting opportunity to write about an up and coming band for Rolling Stone. 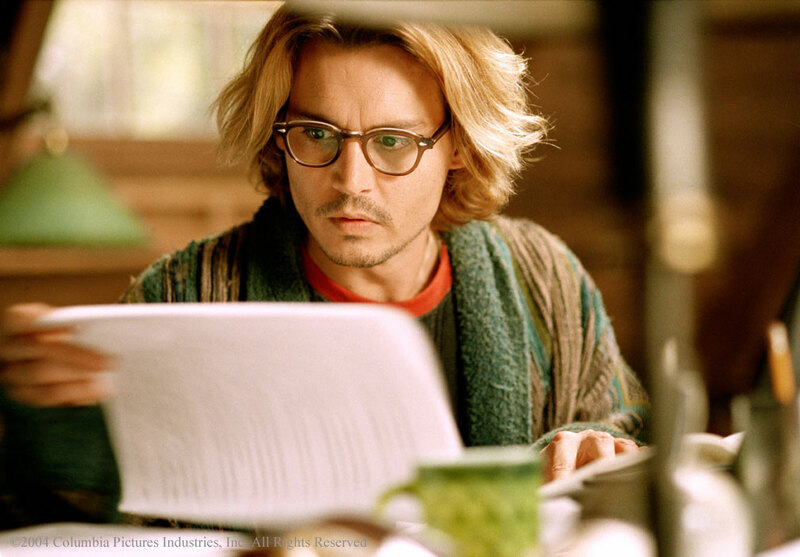 Based off a Stephen King novel, Secret Window stars Johnny Depp as a writer suffering from writer’s block. In his own way, Depp plays a rather funny writer–he’s unkempt, living in a trashy, hidden away home, depending entirely on his story to keep himself interested in much less besides eating and sleeping. 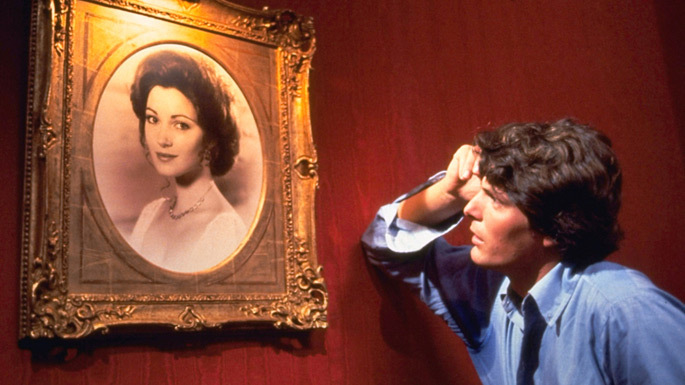 Somewhere in Time isn’t a film thought of much for being about a man writing plays, but more of a love story that happens in reverse. Richard, played by Christopher Reeve, is a playwright living in Chicago. He manages to go back in time to meet the love of his life. But can he stay in the past forever? Winona Ryder gives perhaps her most-well known (and one of her best) performances as Jo, the most obstinate and independent of four sisters. Jo doesn’t make it far with writing to begin with. Maybe because she hasn’t found the right material yet. But when he sister, Beth, dies, Jo decides to write a biography on her. The Player showcases the world of Hollywood, specifically honing in on screenwriters. People are constantly pitching stories, searching for that million dollar idea to make into a movie. 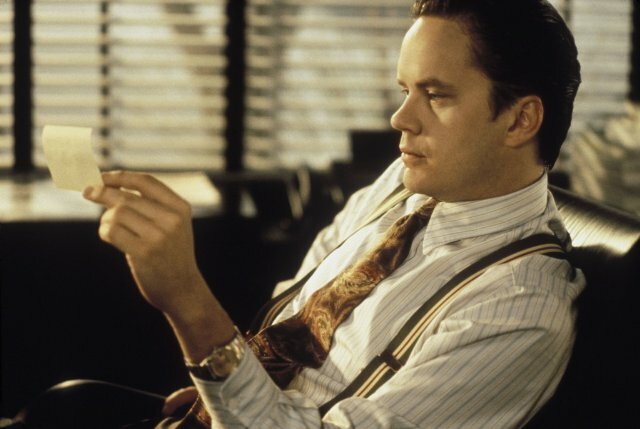 Tim Robbins stars as Griffin, a screenwriter who gets himself mixed up in some dangerous business, but something that may end up being worth telling a story about. – Steve in The Soloist, played by Robert Downey Jr. 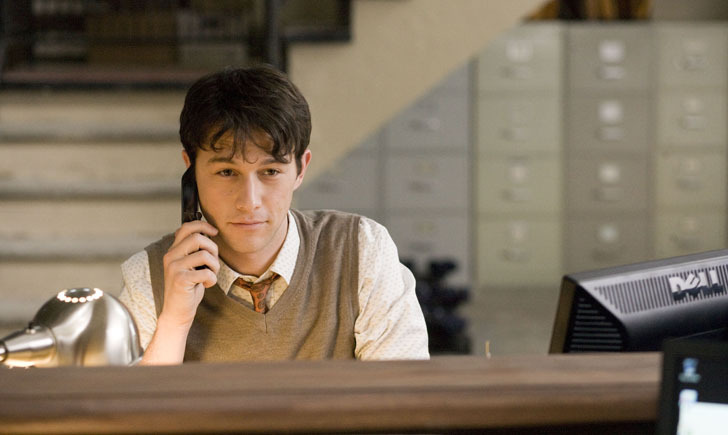 The “journalist” is another often used career for actors in films. I decided to choose a rather less-known film and writer, although Robert Downey Jr. is anything but “not well-known.” RDJ plays Steve, a character based (and book written by) the real Steve Lopez, who meets an interesting person who might change his perspective. Diaries are kept by many historical or well-known people. Bridget Jones is definitely not well-known where she’s from; she really just wants to lose weight and meet her prince charming. Zellwegers plays the hilarious Jones, who really gets in a bind when she meets two men, one played by the debonair Colin Firth, the other by the enticing Hugh Grant. I tried very hard not to include the same person twice, but Barrymore is really in her own element playing a copy editor/ undercover writer in Never Been Kissed. Although she blows her cover in the end, she still writes a memorable article that boosts the news for The Chicago Sun-Times and apologizes to the man she hurt. 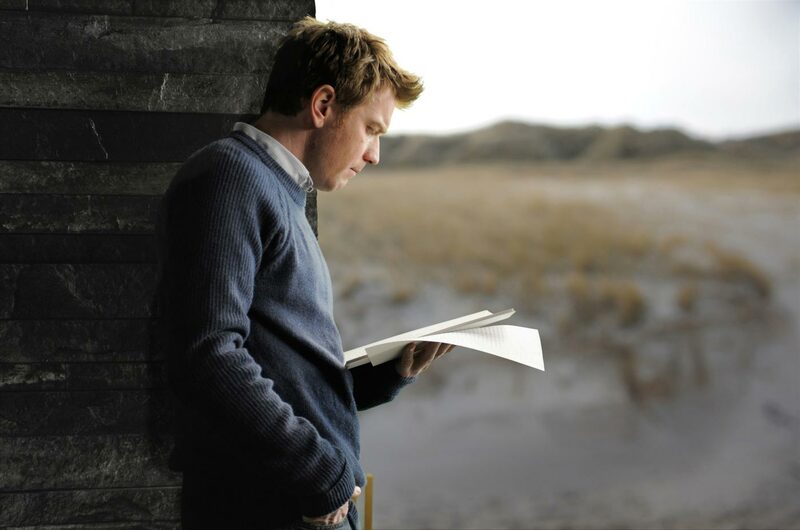 Ewan McGregor essentially plays the “ghost” character in The Ghost Writer, who ends up writing and completing British Prime Minister Adam Lang’s (Pierce Brosnan) memoirs. The Ghost Writer is actually the only film I have not seen on this list; however, “ghost writer” really fit the need for another type of writer, so it’s added in the group. 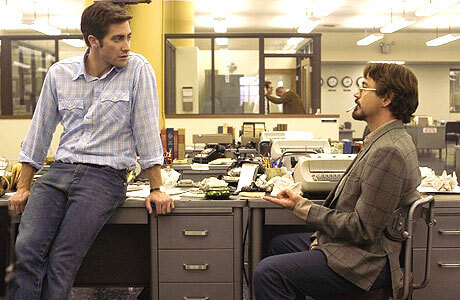 While I believe cartooning is in its own writing category, I would have included a section for “Code Writer” or “Killer Writer” to describe the character Zodiac in Zodiac; Gyllenhaal’s character Robert not only plays the role of a writer–he’s a cartoonist, but he also investigates the letters written by a killer. 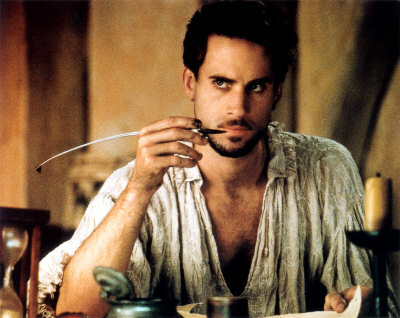 While Fiennes plays Shakespeare in the peak of his play-writing days, I couldn’t think of a better film to include about a poet. Shakespeare wrote many well-known poems over his time in addition to his plays. When you hear the name John Cusack, you do not think character role. You do not think historical character, and you most certainly do not think historical character role. Why? Because it’s John Cusack. John Cusack is the guy in the rom coms, holding the stereo over his head to get the girl in Cameron Crowe’s Say Anything (1989) or leaving fate to decide his destiny in Serendipity (2001). Yes, Cusack has filled various roles over his long career, such as a Jewish art dealer in Max (2002) or as a puppeteer in the Oscar-nominated Being John Malkovich (1999). He’s even in dipped his toes in the screenwriting business when he co-wrote and starred in the political film War, Inc (2008). No matter how you look at it though, his most well-known roles are romantic comedies or thrillers such as the over-the-top 2012 from 2009. Cusack is your everyman who looks and talks the same in just about everything he’s in. He’s usually very likable, but it seems like there’s often an “X-factor” that he’s lacking. Or maybe it’s that most of us are so accustomed to watching him play the underdog, that his talent is far more underrated. Born in Chicago, Cusack has retained a low profile, staying out of the media limelight. 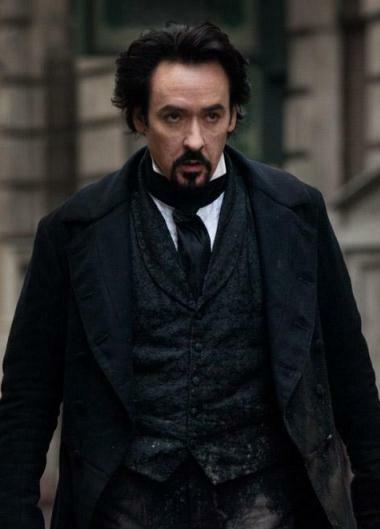 Cusack’s done the thrillers before, as well as portrayed a writer in Stephen King’s adapted book-to-movie 1408 (2008), and now he’s playing the historically dark and edgy writer Edgar Allen Poe. As someone commented on the YouTube video, the movie appears to have a very Sherlock Holmes-like feel and look to it, as well as similar type story line. Director James McTeigue is no stranger to the action genre, having assisted in directing both Matrix sequels (1999, 2003), V for Vendetta (2005), and Star Wars: Attack of the Clones (2002). Watch for The Raven to open in theaters March 9.